It is fairly important to make a plan of drug addiction treatment that would suit the severity of patient’s state. It is not possible to cure the patient in three days only because he has no time for treatment, no money or doesn’t want to stay in the hospital long enough. When it comes to addiction diseases, the patient cannot be cured for 60% or 80%. The addict has or doesn’t have a crisis; he is either psychologically stable and able to control himself or not; he is either taking narcotics or not; he is either a drug addict or not. For this reason it is very important to acomplish the final goal, i.e. strictly follow the plan of treatment in order to obtain desired result. It is not the point to literally count days and minutes spent in the hospital. One of the main factors of treatment success is the following of the previously set plan of the treatment. Discontinuing the treatment or checking out of the hospital before time always have negative consequences. Second important fact is the way of patient treatment. One patient responds to intensive and fast treatment, another to gradual treatment with no stress focused on body and psyche regeneration. Some are best suited with education and psychotherapy, others pharmacotherapy, and the third are looking for an implant which disables narcotics intake. 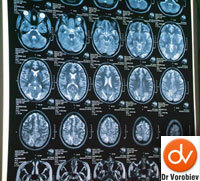 In order to establish which combination of procedures would be most efficient, it is necessary to conduct detailed diagnosis, assess the degree of tolerance, doses of narcotics and duration of their abuse, state of patient’s organism, and the level of disruption of patient’s psychological processes. It is also necessary to assess the motivation and level of cooperation of the patient, the results of previous attempts at treatment and what is to be expected after the checking out of the hospital. The analysis of all these factors is conducted by a team of experts (a psychiatrist, a psychologist, a special pedagogue), followed by a drafting of a plan of treatment discussed with the patient and his family. 1. Detoxification is a short programme of treatment with a goal of cleansing the patient’s body from narcotics, to save him from painful and uncomfortable symptoms of apstinential crisis, to normalise the metabolism and nourish the organism with vitamins and amino acids. Detoxification does not cure the addiction by itself, it only represents a support for organism, an aid on the way out of narcotics toxification. Unless some other steps for further treatment are taken after the detoxification, the patient can very quickly regress to use of narcotics. After opiate detoxification, tolerance to narcotics can be significantly changed and an addict can overdose if he takes his usual dose. It is very important for this phase of treatment to be adequately and safely conducted in the hospital specialised for this kind of medical help. Detoxification at home or use of medications without doctor’s supervision are often hazardous, for it can happen that the addict simultaneously uses narcotics as well as medications, which can lead to dangerous consequences (overdosing, poisoning, cardiotoxic effects or liver damage) or simple drug use relapse. If you wonder how to beat drug addiction , contact us for free consultation.